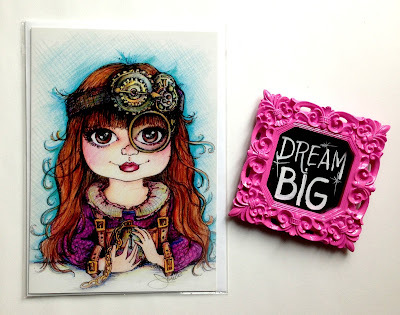 Pop Art Minis: Love! Dream! Shine! 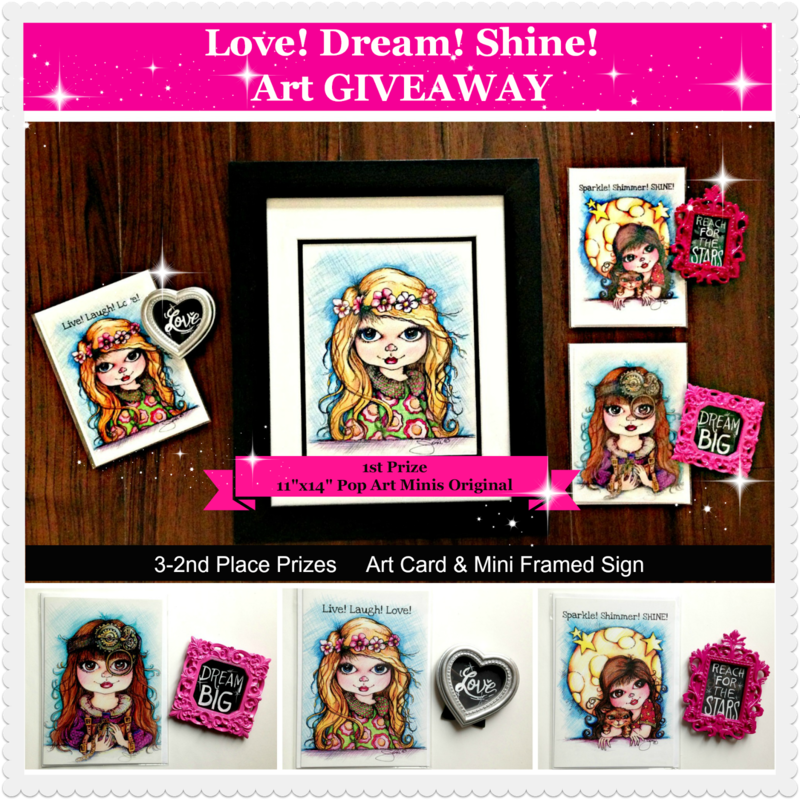 Art #GIVEAWAY! Celebrating the 4th of July with a Pop Art Minis Giveaway! Enter for a chance to win one of 4 prizes! 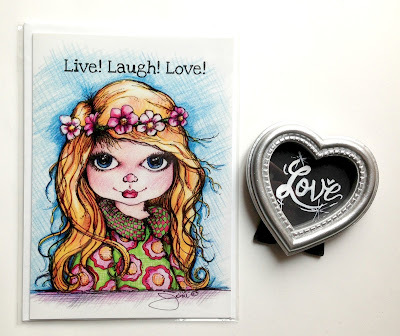 3 Lucky 2nd prize winners will receive a Pop Art Minis Art Card and Mini Framed Hand Painted Sign! Log in to Rafflecopter to see all the ways that you can enter to WIN! This would be so great ! 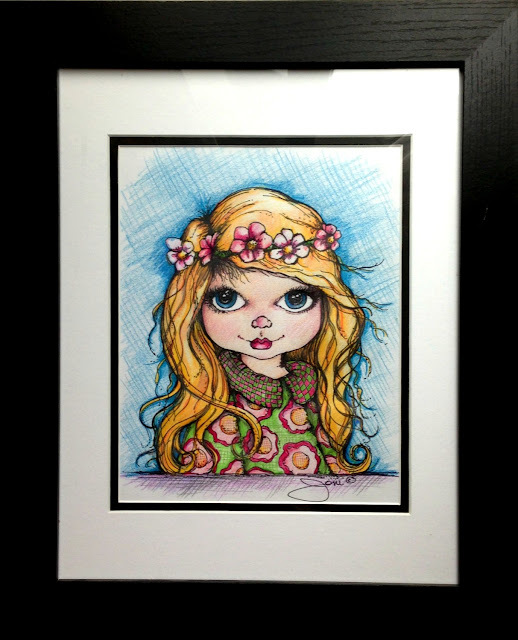 I would love to win one of the pop art drawings ;) they wil look so pretty in my home. 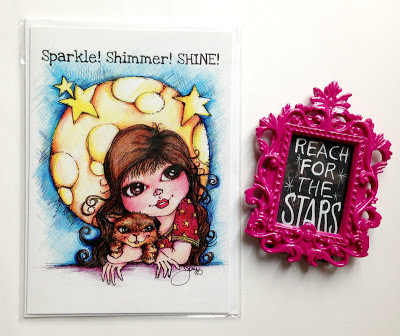 such cute prizes, would love to win! These lil girls are so Lovely with their popping and dazzling bright eyes and they are perfect in my daughter's room...full of fun, fancy and frolic! I would love to win because I think my daughter would LOVE these. This is the kind of art she loves so much. I want to win because your art is adorable and I would like to gift it to my only niece. I want to win because my mom is a huge art fan, looks like something she would love. followed on GFC with the name ANDREA AMY. Would love to win because these are really sweet pictures that I think any household would look better with. Really cute! I would like to win because they are BEAUTIFUL! They would look sooo cute in my house! I love the unique signs! I would like to win because the picture is just about the cutest thing I have ever seen and I know my 6 year old granddaughter would love it! Great contest. I'd love to win one! I recently moved into a new place and my walls are BARE! I would like to win so I could display these in my new apartment. I would love to win because these are absolutely adorable and my daughter would love having it in her room. I would absolutely love to win these amazing art pieces because, well, I am a huge fan of art! I would love to win because theose are just cute and lovely! Besides, the artist is very talented!! I would like to win because these are adorable! I would like to win these for a family member! I would love to win because your artwork is so happy and inspiring. I work from home and it would be so nice to have this on my desk so it could make me smile! Great Art! I would love to have one. Thanks for the competition! I love the cute detail in these POP ART Illustrations. I have never seen anything like them and I LOVE it. I would love to have one to frame and put it so everyone can see how CUTE they are. I want to win Live, Laugh, Love! The artwork is kinda cool!